Johnbell Pipleline launched Core6 Composites and are now one of the UK’s largest stockist/distributors of high quality moulded & pultruded Fibreglass Reinforced Plastic (FRP/GRP) products. With multiple stocking facilities throughout the UK and daily deliveries Nationwide, our specialist division are solely responsible for all aspects of design, fabrication and supply of a complete range of composite access products. Customer requirements can be satisfied by our design & fabrication facilities. Our specialist Core-6 advisors team of experienced engineers have many years’ experience working with composites and are therefore one of our main assets. We encourage early engagement with our customers to ensure you are supported to select the appropriate product to meet your needs. 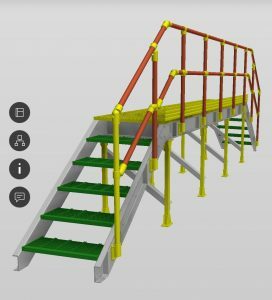 We use time-served Draughtsmen and Designers utilising the latest software including Autodesk Inventor, so whether your requirement is a simple hop-up platform or a complex network of walkways, our experienced staff are available to assist you. Our free survey service allows us to assess your requirements and we will then submit a preliminary design for consideration and approval prior to a full structural design analysis service being commissioned. 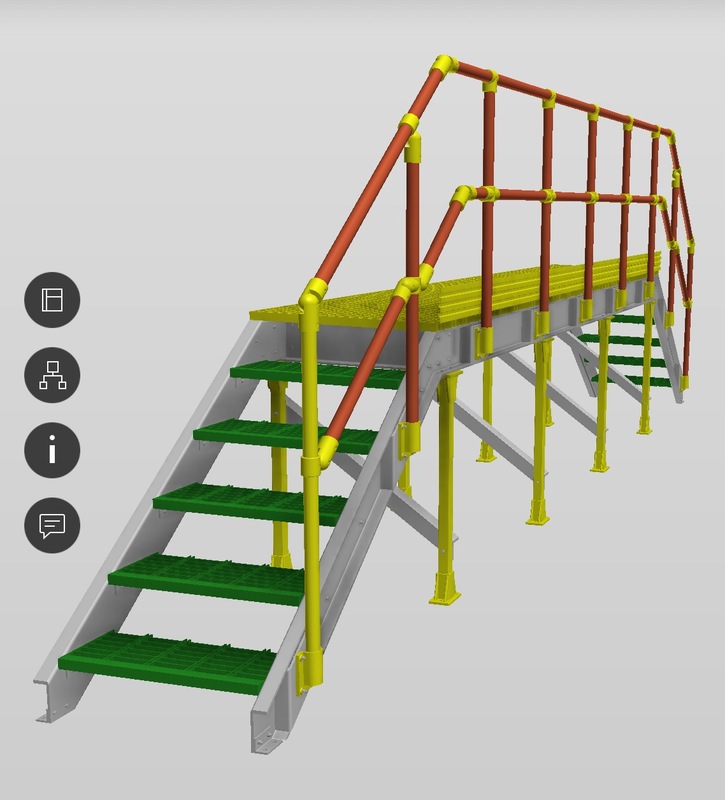 We use time served Draughtsmen and Designers utilising the latest software including Autodesk Inventor, so whether your requirement is a simple hop-up platform or a complex network of walkways, our experienced staff proudly represent our product (Core-6 Composites) and are always available to assist you. Our free survey service allows us to assess your requirements and we will then submit a preliminary design for consideration and approval prior to a full structural design analysis service being commissioned. Our team of experienced Engineers have many years’ experience working with composites and are therefore one of our main assets. We encourage early engagement with customers on application design and have proven the benefits of this approach on numerous occasions. We maintain a large stock of GRP panels and associated products sourced from reliable and quality approved manufacturers. Our internal stock systems ensure that the stock is managed in a professional manner and we retain full product traceability. Should you require your grating panels cutting to size we can offer this service on a quick turn-around. Individual panels can be marked and identified to suit your drawing layout to ensure your project is started and completed with the minimal amount of disruption. In our specialised fabrication shop we are able to offer fully fabricated structures ready for site installation or a full kit of parts fully marked up for ease of build on site. Years of experience in fabrication for varied environments across sectors enable us to deliver structures that are fit for purpose and economic. With our own transport fleet offering national coverage we are able to offer short lead time deliveries across the UK and Ireland, we promise to provide you with a seamless service from your initial enquiry, through to your delivery of CORE-6 goods. We also offer a project call off service to site which supports site activity whilst removing double handling and ensuring site storage costs are kept to a minimum. With our own transport fleet offering National coverage we are able to offer short lead time deliveries across the UK and Ireland. We also offer a project call off service to site which supports site activity whilst removing double handling and ensuring site storage costs are kept to a minimum. Customers are the foundations of our business and we believe that the sale is not complete until you are happy with the product. Our sales and technical team are there to support you at every point of your contact and even during your installation process should this be necessary.